Employment opportunities for pharmacy technicians are expected to increase by 20% through the year 2022. The Bureau of Labor Statistics credits the expected growth to the demands of a rising senior population who use more prescription drugs that the younger generation. The rise in the number of retail pharmacies in Mississippi also creates greater employment opportunities for pharmacy technicians. After training, certification, and state registration, pharmacy technicians work under the direction of a licensed pharmacist, performing duties that do not require the pharmacist’s professional judgment. According to the Mississippi’s Board of Pharmacy regulations, they can prepare prescriptions, manage patient records and billing, order supplies, and maintain inventory. They can also receive and screen prescription orders and maintain pharmacy equipment, such as sterilizing bottles, beakers, and other glassware. Pharmacy technicians should have a broad knowledge of pharmacy practice and be able to understand and interpret pharmaceutical and medical terms, abbreviations and symbols in order to fill their roles responsibly. Any individual who wants to serve as a pharmacy technician must first obtain a registration from the Board of Pharmacy. The individual must meet all the conditions outlined by the Board, including the age requirement, education requirement, certification requirement, and moral requirement. All candidates for registration must consent to a criminal background check and pay the fee for initial registration and subsequent renewals to continue working. There are no specific requirements for training. However, national certifying agencies, such as the ExCPT require pharmacy technicians to complete training as a requirement for certification. The PTCB will enforce the requirements for accredited training in 2020. Upon registration, pharmacy technicians must abide by the state’s regulation for pharmacy practice. This includes renewing the registration annually before the March 31 deadline, maintaining national certification, and operating within the principles outlined by the Board. Technicians must operate under the direction of a licensed pharmacist and shall not provide a prescription or medication to the patient without the pharmacist’s verification. They also cannot counsel patients, perform tasks that require a pharmacist’s professional judgment, and perform tasks that violate federal and state laws. Pharmacists with a revoked or suspended license cannot register as a pharmacy technician. A pharmacy intern in good standing do not need to register as a pharmacy technician to function in the role. Pharmacists must verify a prospective employee’s registration with the Board before extending an offer of employment. Mississippi’s pharmacy technicians must be 18 years or older before submitting an application for registration with the Board. A high school diploma or GED equivalent is necessary to register as a pharmacy technician in Mississippi. The applicant must submit a copy of the high school diploma or GED certification or an official copy of the transcript along with the completed application. Mississippi’s pharmacy technicians must have a good moral character verifiable from the result of a criminal history report. An individual who has prior arrests for criminal convictions must indicate on the questionnaire and include a detailed explanation of the circumstances surrounding the arrest. Providing false information on the application may be grounds for immediate denial of the application for a Mississipi license. The Board will conduct a nationwide criminal background check to uncover information not contained in a local background check. Provide the information beforehand to increase your chances of success. If the Board denies your request for registration, you cannot submit another request for at least one year following the denied application. In some cases, the Board may restrict an individual from ever applying for registration. Although the Board of Pharmacy does not stipulate training as a requirement for registration, pharmacy technicians will benefit from formal training. Traditional training institutes and employers facilitate training to give students the communication, safety, and patient advocacy skills needed to perform their duties on the job. Instructors use classroom and hands-on training to emphasize special skills such as the preparation and distribution of medication, record maintenance, labeling and filling orders, and communicating with patients and members of the health care team. The clinical experience also prepares students for employment in various health care settings. The Board of Pharmacy upholds high standards for technicians. Therefore, students must undergo a criminal background check, drug testing, immunization and state registration before commencing the clinical experience. To ensure patient safety, students will cover topics such as drug classifications, common drug side effects, generic and trade names, pharmacy maths and dosage calculations, and methods of drug preparation before the training begins in a clinical setting. ASHP accredited programs, such as the ones offered at Virginia College and Jones County College, cover at least 200 hours of clinical experience in a retail and hospital environment to prepare students for work in multiple environments. The ASHP sets the standards for training nationally, making it easy for graduates to move their skills between states. The abundance of employer-based training provides balance to the shortage of accredited institutionalized training. Retail pharmacy employers provide structured training to employees and prospective employees. The curriculum is similar to traditional training, but will include training in duties that are specific to the employer’s requirements for pharmacy technicians. The average cost of pharmacy technician training in Mississippi is $19,500 plus expenses for textbooks, supplies, and uniform. The costs of a criminal history check, immunization, drug screen, and TB test are also the students’ responsibility. Federal and private loans, grants and scholarships may be available to qualifying students. Due to the high cost of formal training, many aspiring pharmacy technicians choose the route of employer-sponsored training, which is free and lets them earn while they train. With numerous pharmacies across the state, there are opportunities in almost every city. Both employer and institutionalized training prepare students for national certification, which costs an additional $105 to $129, depending on the agency. The average duration of the training depends on the objective and outcome. For example, the diploma program at Virginia College – Jackson Campus is approximately 55 weeks while the Associate of Applied Science at Jones County Junior College is five semesters long. Employer training could last up to 12 months at some locations. 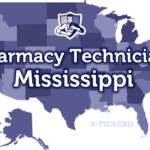 Mississippi’s Board of Pharmacy requires technicians to obtain certification from the PTCB or ExCPT as a requirement for registration – or by the first renewal at the very latest. The national exams assess technicians’ readiness for work. As the older of the two certifying bodies, the PTCB is widely recognized and accepted by employers and state pharmacy boards. The PTCB, through a partnership with Pearson Vue, delivers the exam electronically at hundreds of testing centers across the nation and two centers in Ridgeland and Tupelo, Mississippi. Applicants must submit their high school diploma and fingerprints for screening before receiving authorization to take the exam. The two-hour exam contains 90 questions that tests candidates’ knowledge of six critical domains. Only 80 out of 90 questions count toward the final score. The fee for PTCB certification is $129, and the renewal is $40 biennially. CPhTs must complete the continuing pharmacy education requirements to qualify for renewal. The ExCPT, a product of the NHA, is the second option for national certification. The agency’s prerequisites for certification is similar to the PTCB, requiring applicants to possess a high school diploma, be at least 18 years, and possess a good moral character. Candidates must also demonstrate proof of formal pharmacy technician training or 12 months of employment performing pharmacy-related tasks. The ExCPT exam is two hours’ long and contains 110 multiple-choice questions, which tests students’ knowledge of brand name and generic drugs, pharmacy regulations, and technician duties, and dispensing medication. The ExCPT has contracted with LSI/LaserGrade to administer the exam at more than 200 centers across the nation. The cost of certification is $105. Aspiring pharmacy technicians must register with the Board before engaging in the practice of pharmacy. Technicians who receive the Board’s approval to practice must fulfill the requirements for national certification before the registration renewal date. Beginning April 1, 2011, all applicants must be 18 years or older, possess a high school diploma or GED, and have a good moral character. Following are the requirements for registering with Mississippi’s Board of Pharmacy. Contact the Board to request an application packet or download the form and detailed instructions from the Board’s website. Fill out the entire application, making sure to respond to all questions, and include a recent passport quality photo. Provide proof of CPhT certification – an official letter of notification or copy of your PTCB or ExCPT certificate. If you did not complete certification, you must do so before the first renewal. Fill out the affidavit questionnaire and sign in the presence of a notary. Respond to the questions relating to state regulations governing the practice of pharmacy technicians. Enclose money orders or business checks for the $50 registration and $40 background check fee in a postage paid envelope. Add proof of high school graduation to the prepaid envelope. Take the package to your local police, department of public safety, or other agency to get fingerprinted on a white and blue FD-258 card. The person completing the fingerprints must complete the questionnaire on page 4 of the application. Ask the person who took the fingerprints to place the completed fingerprint card in the prepaid envelope along with other documents and mail directly to the Board of Pharmacy at the address provided below. The Board cannot issue a license if the applicant does not provide the specified documents, including the fingerprint card for a criminal history check. False or incorrect information could result in the Board’s refusal to grant or renew a technician’s license. Violation of any of the state or federal laws relating to the practice of pharmacy could result in disciplinary action, including the revocation of a license. Once approved, the technician must keep a copy of the registration certificate at his/her primary place of employment. Pharmacy technicians must renew their registration annually by submitting the request on a Board-provided form. The registration expires on March 31 every year. Any registration not renewed by the deadline will become null and void, and the pharmacy technician cannot perform duties in the dispensing or drug storage areas of the pharmacy. The Board will return all renewal applications postmarked after March 31 and assess a $50 late fee. The pharmacist-in-charge must ensure all pharmacy technician employees have up-to-date registrations and are in good standing with the Board. Fill out the renewal form that the Board sends through the mail. Mail the form with the $50 renewal fee before March 31. Include a copy of your current PTCB or ExCPT certification. 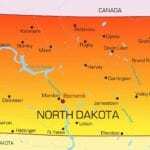 Technicians must maintain certification with the national certifying agency. It’s the technician’s responsibility to use the change of name/address form to notify the Board of any changes within 10 business days. 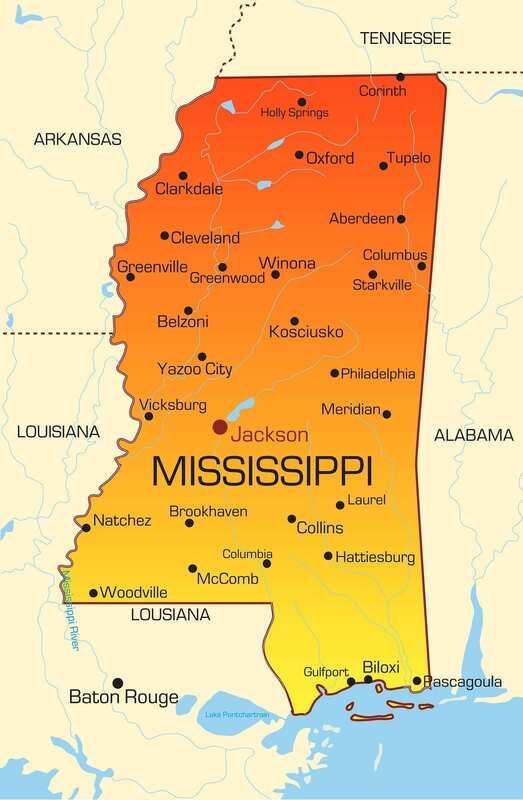 Mississippi does not practice reciprocity for pharmacy technicians. 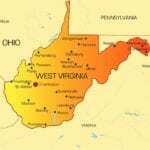 Pharmacy technicians registered in another state and certified through a national agency can follow the standard procedure for a new registration.